Devi (Chennai, India) on 31 December 2018 in Miscellaneous and Portfolio. No they are not real !! Made of synthetic cloth ! Very nice colores and I like the shadowplay. Well, I'd be fooled into watering them that's for sure ! They look real to me. Happy New Year! 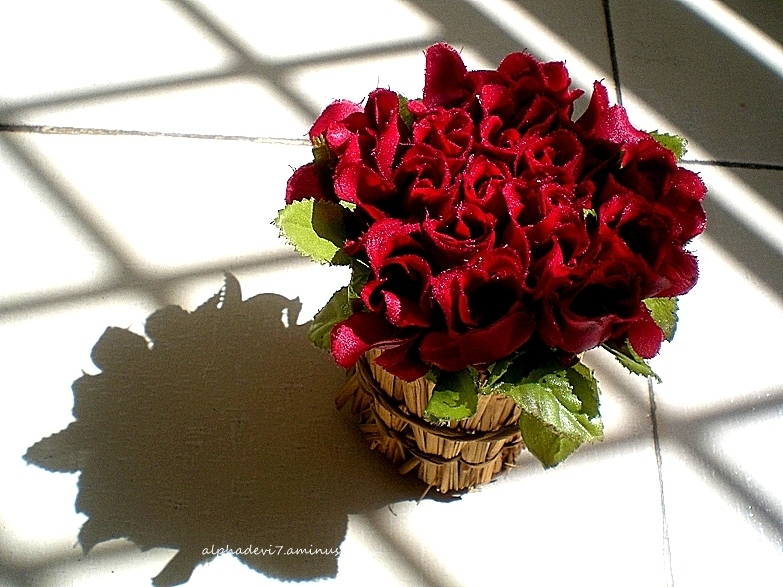 Great use of shadows to accompany this "bouquet"! She are beautiful and the red color is wonderful. Truly my eyes deceive .lovely wonderful colorful flowers. Thank you very much for your wishes Usha. Wish you and your family Happy and healthiest new year 2019. Photographed from a beautiful point of view. So beautiful ! Superb composition . They certainly look real! Beautiful light and color! Happy New Year Devi! Best wishes for a wonderful 2019! Well, they are quite beautiful anyway. Lovely and well made, nonetheless.